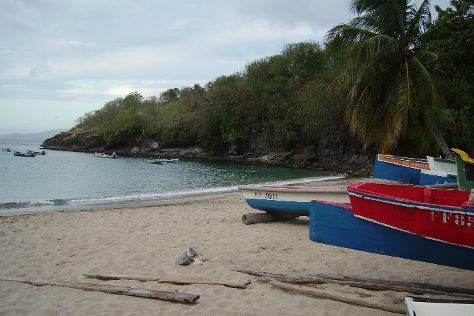 You'll enjoy a bit of beach vacationing at Anse Dufour and La Pointe Marin. Attractions like Scuba & Snorkeling and Anse Couleuvre make great kid-friendly stops. Explore the numerous day-trip ideas around Fort-de-France: Grande Anse des Salines (in Sainte-Anne), Zoo de Martinique - Habitation Latouche (in Le Carbet) and Trois-Ilets (Le Musee de la Mer, Dolphin & Whale Watching, & more). Spend the 12th (Mon) exploring nature at Parc Naturel Regional de la Martinique. The adventure continues: enjoy the sand and surf at Les Salines Beach, tour the pleasant surroundings at Petit Anse, admire the striking features of Schoelcher Library, and admire the natural beauty at Jardin de Balata. Inspirock's itinerary builder makes planning a Fort-de-France trip simple and quick. If you are flying in from Ireland, the closest major airport is Martinique Aimé Césaire International Airport. August in Fort-de-France sees daily highs of 36°C and lows of 29°C at night. Finish up your sightseeing early on the 14th (Wed) so you can travel back home.